Reduces incoming damage and increases Attack. Consumes Energy and health. Throws around all the nearest characters. Reduces incoming damage. Causes damage to enemy and reduces incoming damage. Produces regular damage and allows to cause high counter-damage. After he will increase his Attack few times in a row, Guardian turns into machine of destruction and moves to the front, to smash enemies, breaking their rows and knocking them out from their locations. His general mission is to focus enemies’ attacks on himself, defending, counter-attacking and not letting enemies move forward. If you will miss the moment when Guardian will become too powerful, you’re doomed – his defense wouldn’t be broken by any other class. Produces regular damage on distance. Produces increased damage. Increases Attack. Consumes Health. Significantly reduces incoming damage. Consumes Energy. Archer strikes the enemies with his arrows, hiding behind the backs of his allies. Accumulating Health, he can, again and again, make more accurate shots which produce extremely high damage. It makes this character more and more dangerous during the battle. 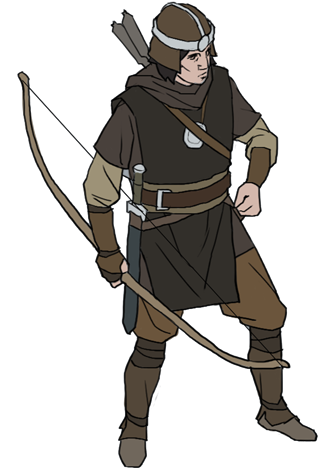 His weak side is low index of Health, that’s why Archer must always try to keep the distance, enough for the shot, remaining unattainable for enemies’ attacks – and, expending Energy, dodge them when the keeping of distance is impossible. Increases Attack of the chosen ally. Consumes Energy. Increases Attack of the Wizard himself. Consumes Energy of the chosen ally. Reduces incoming damage for Wizard and the chosen ally. Consumes Energy. Allows the chosen ally to cause counter-damage. Consumes Energy. 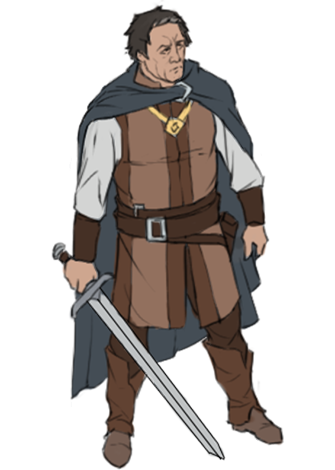 Standing in the shadows of his teammates, Wizard strengthens their ranks, increasing attack and thus enhancing their dangerousness for enemies. He must watch his allies who has gone far forward or is surrounded by enemies – to timely reduce the damage they receive or let them make counterstrikes. When he hasn’t enough of Energy, Wizard can borrow some of it from the allies. Produces increased damage. Consumes Health. Reduces incoming damage. Directs all incoming damage into Health. Reduces incoming damage, sharing it between Health and Energy. The main task for Fighter is to reach, as quick as it’s possible, the weakest opponent’s classes and cause maximal damage to them, simultaneously increasing his Attack. He also can wait in rearguard to finish strong enemy characters with few powerful strikes in a defining moment. Due to his high index of Health and ability to share incoming damage between Health and Energy, Fighter is able to endure longer under enemies’ strikes. 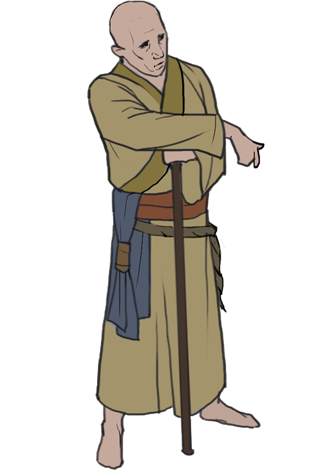 His weak side, however, is a low index of Energy and being in lack of this Fighter loses an ability for long resistance. Produces regular damage. Increases Health. Reduces incoming damage, redirecting it to Energy. Reduces incoming damage. Increases Attack. Consumes Energy. Using his distance ability to increase his Health, Assassin is able to accumulate it again and again to the level enough to produce an increased damage, which makes him more and more dangerous during the battle. Being surrounded by enemies, he can slightly reduce incoming damage at the expense of Energy, and it can help him to endure longer under enemies’ attacks. His power is at the same time his weakness and when he’d lost all his energy, he will become absolutely harmless. Recovers Health of an ally. Consumes Energy. Recovers Energy of an ally. Consumes Health. 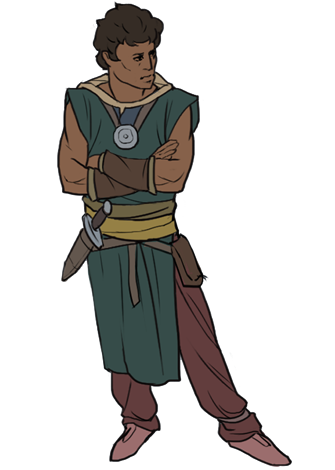 Monk can’t boast of force and dexterity so he better stay away from the fights and watch the level of Health and Energy of his allies and timely heal those ones who are in danger to be killed and inspire those who lost their powers. For instance, Monk and Archer are the murderous tandem. Produces increased damage and pushes the enemy away. Consumes Health. 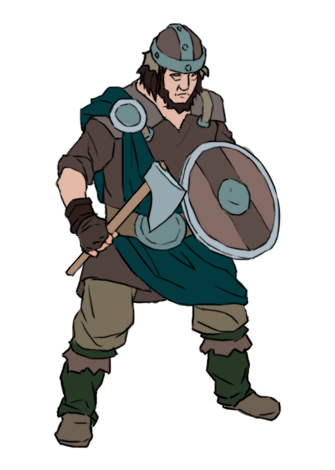 High index of Attack and the ability to cause increased damage makes Spearman a constant source of danger for enemies. 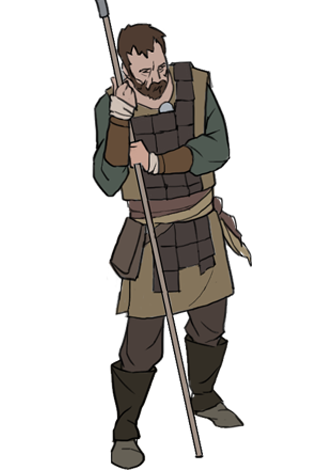 Distance of his regular strike allows Spearman to stay behind his teammates’ backs while ability to push enemies away for few hexes gives you additional tactical opportunities. 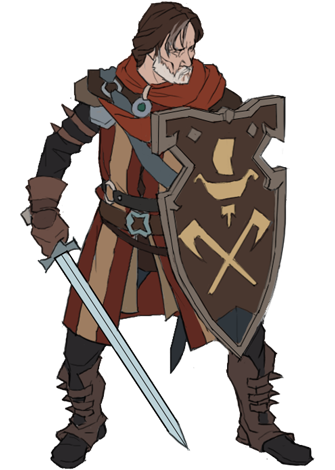 Weak side of Spearman is his low index of Health but it can be compensated via ability to reduce incoming damage. The extra expense of Health leads to fact that Spearman loses his ability to produce increased damage. Reduces incoming damage and allows to strike back. Consumes Energy. High index of Health and the ability to reduce incoming damage allow Swordsman to survive in any combat turmoil. Risk to receive a counterstrike makes enemy seriously think before choose Swordsman as a target for attack. This class is able to cause quite high damage and also limitedly control the battle field due to ability to push away the enemies. 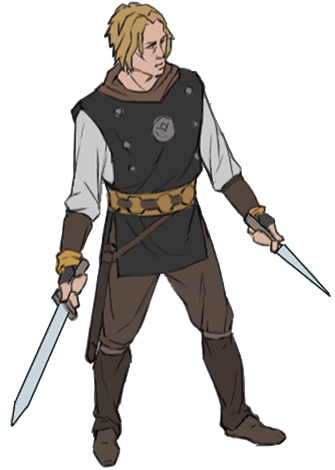 During the battle Swordsman becomes more and more dangerous due to his ability to gradually increase Attack. His weak side is low index of Energy and you have to constantly control the expense of this resource.